A lot of people travel for various reasons. People travel to another country for medical purposes, vacation, family visit, or for occupational or business purposes. Before one can travel outside of his or her country, there are certain travel documents, like a passport and a visa, that are required. There are various types of travel document forms depending on what you are applying for. Travelling is an enriching experience, but applying for these travel documents can be a hassle. 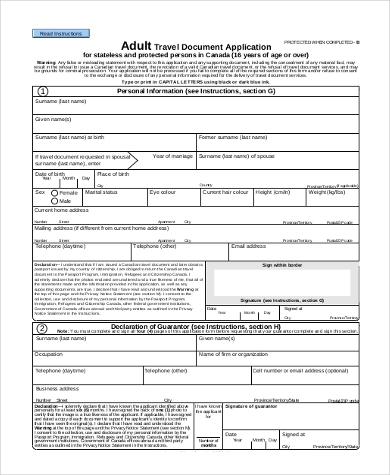 Check out our Travel Forms for more information on travel documents and application. 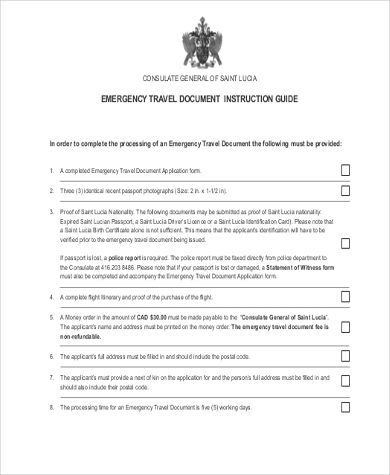 Emergency Travel Document: This may be issued in cases of urgency where the issuance of a temporary passport is not possible. You can use this when you need to travel and cannot get a passport in time. Refugee Travel Document: This is also called a Geneva passport. This is issued by any of the 145 states which are signatories to the 1951 Convention Relating to the Status of Refugees. They issue it to refugees who are residents in their state for them to travel outside of that state and return there. The cover has the words “travel document” in English and French. 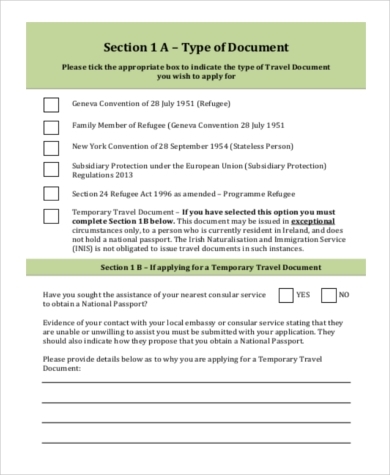 Convention Travel Document: This is issued for stateless persons by a signatory nation to the 1954 Convention Relating to the Status of Stateless Persons. This is issued in situations where the person cannot get a travel document from their country of birth. 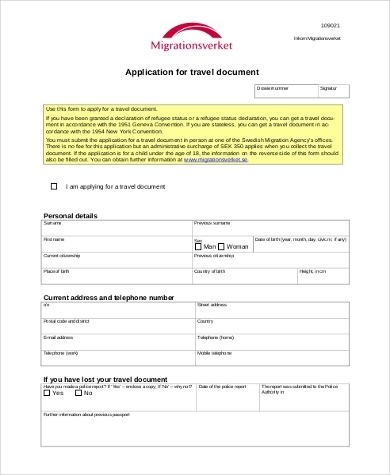 The difference with this travel document from a refugee travel document is that it doesn’t have two diagonal lines in the upper right corner of the front cover. 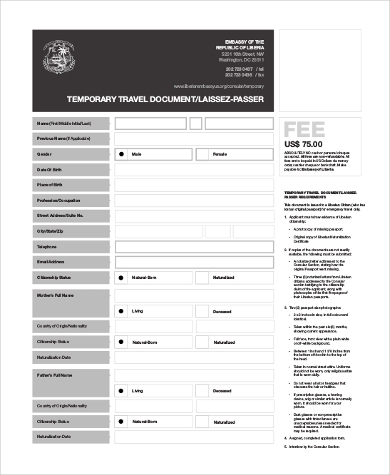 Temporary Travel Document: If your travel document is lost, stolen, or has expired while you are abroad, you may apply for a temporary travel document to return to your country. You may be required to have a valid residence permit in your country to qualify for a temporary travel document. 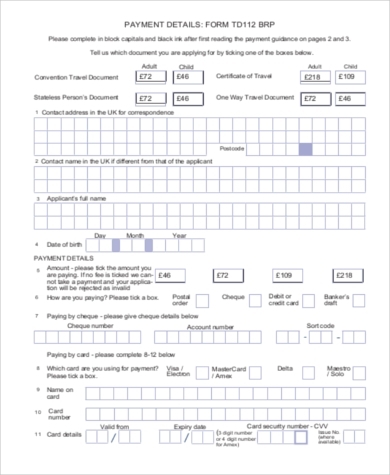 Home Office Travel Document: This is an international travel document issued by the UK Border Agency to an alien living in United Kingdom, who cannot get a national passport. Aside from travel documents, you may also need to submit other requirements for travel abroad. You may need a Travel Expense Form or a Travel Authorization Form. 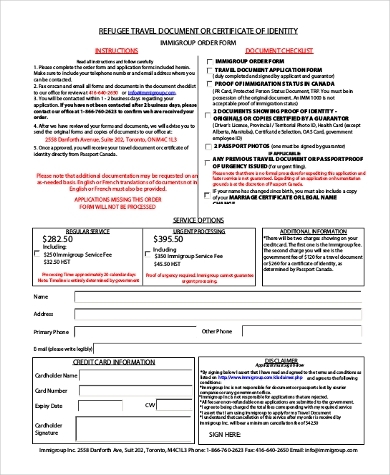 Check these out for more information on these types of documents. Travel documents are important in overseeing and facilitating the movement of individuals who are crossing international borders. It is good to be knowledgeable about the documents you will need for traveling abroad to avoid any complications in the future. This way, you will enjoy your travels more. If you are on a business trip, you may also need a Travel Claim Form for reimbursement of personal resources used during a business assignment.